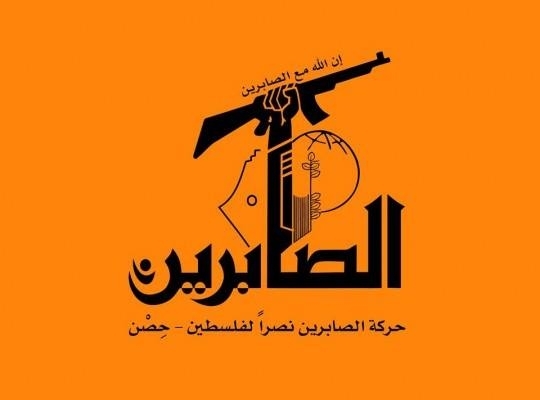 Harakat al-Sabireen (“Movement of Those Who Endure”) is an Iranian backed terrorist group that was established in 2014. It is believed to receive up to $10 million per year from Iran via smuggling tunnels and underground banking activities. Harakat al-Sabireen operates primarily in Gaza and is led by Hisham Salem, a former leader of the Palestine Islamic Jihad (PIJ), a State Department designated Foreign Terrorist Organization (FTO) and Specially Designated Global Terrorist (SDGT). Harakat al-Sabireen has carried out terrorist activities targeting Israel and pursues an anti-American agenda. These planned and executed terrorist attacks include firing rockets into Israel in September 2015 and detonating an explosive device targeting an Israeli army patrol in December 2015. Harakat al-Sabireen also previously established a rocket factory in Gaza that was destroyed in the summer of 2014. The group has used social media to incite violence and congratulate individuals who died attacking Israelis. Israeli officials are concerned the group is pulling recruits from other local militant groups, such as Palestinian Islamic Jihad (PIJ) and Hamas. The U.S. State Department announced the designation of Harakat al-Sabireen as Specially Designated Global Terrorists (SDGT), under Executive Order (E.O.) 13224, in January 2018. The E.O. imposes sanctions on foreign persons determined to have committed, or pose a significant risk of committing, acts of terrorism that threaten the security of U.S. nationals or the national security, foreign policy, or economy of the United States. These designations seek to deny Harakat al-Sabireen resources to plan and carry out further terrorist attacks. Among other consequences, all their property and interests in property subject to U.S. jurisdiction are blocked, and U.S. persons are generally prohibited from engaging in any transactions with them. State Department Terrorist Designations of Ismail Haniyeh, Harakat al-Sabireen, Liwa al-Thawra, and Harakat Sawa'd Misr (HASM), U.S. State Department, (January 31, 2018).